The upcoming Orange Bowl has come with the challenges that the officials need to face. There have been some concerns from different parties who are living nearby the stadium. The last update that we attained is that there have been emergency repairs on the home bleachers at the Fredonia’s Orange Bowl. The process began roughly a week ago. Despite the challenge of the poor weather raiding the area lately, the Fredonia Superintendent Jeff Sortisio managed to communicate with the Board of Education to inform them that the site work and renovation has begun. The workers from Perry Construction of Erie, Pa would pour a concrete bed under the bleachers to help the supports preventing the rusting any further. Besides the concrete bed, there would be the new drainage to solve the water issues problem. They would install it on the side of the bed. This process alone can cost around $4,300, adding more values to the $39,000 prices of the initial work. The district’s budget line for emergency expenditures will be the source of the money for the project. Sortisio added that he and his team would put the fencing around the sides of the field. They did it solely because of the recommendation of the district’s insurance company. The officials also informed that they would do the thorough checks so that the area will be safe based on the school safety devices. The school safety advisor job is also open. There are six candidates to pitch on this job. Sortisio also said that the plan was that they would have a recommendation for the board at the meeting on September 25th. That means they have nine days remaining until the big meeting happens. That will be the determining factor of the readiness of the stadium for the Orange Bowl later. The superintendent will also tell the board about the specific goals. You might wonder what the significant issues that put the Orange Bowl on hold are. Back then in August, officials reported that there had been some issues. They claimed that the Orange Bowl would not be available when the Fredonia – Brocton high school football team starts the season because of the safety concerns related to the bleachers. Meanwhile, the game versus Newfane will happen somewhere else, the Brocton Central School. Back then, Fredonia, told the Fredonia Board of Education that they had some significant issues. 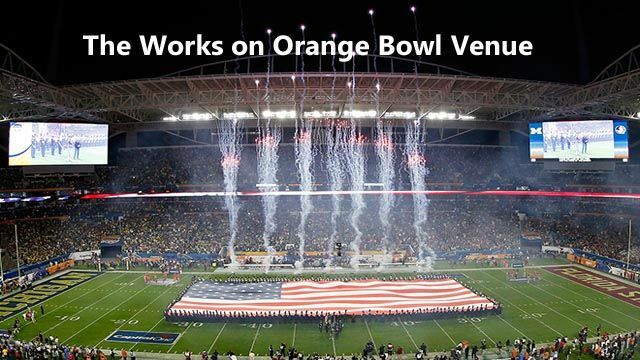 The building inspection team found that the structural assessment of the Orange Bowl revealed about 50 percent of the supports on the home bleachers. That is a quite a shocking number of bleachers. If the officials don’t do something about it, they will affect thousands of people who watch the event there. The cost of the project was about $39,000. Cortisio said that he proposed placing the six-inch-high concrete bed under the entire length of the bleachers. The installation of the bed will prevent the moisture from continuing to rust out the structure. As we know, the rustic structure may not be stable all the time, and it can be ruined in no time. The good news is that the work will only take a week to ten days to complete. That means the officials still have plenty of time to actualize their project. Keep in mind that the problem won’t only revolve around the Orange Bowl, but also the events before it. That’s why Cortisio has been keeping up the fast paces of the troubleshooter so that the venue will be ready on October 5 when the event that involves Fredonia against Tonawanda. About the general safety of the grounds, Sortisio will also focus on the other repairs and renovations to strengthen the structure. So, we can’t close our eyes from the reality that there’s been a danger in the venue. For many years, Fredonia has looked the other way when it comes to Orange Bowl. Many people have known that it is a dangerous venue. So, the officials will do everything they can to make it as safe as possible. The concrete bed might solve the problem, temporary. But there will be other problems. That means there will be no handicap access, no working restrooms. And when it rains, the field will become a nuisance for many people.